It is common vocabulary for ministry leaders to speak about serving in “their Jerusalem”. This is taken from the passage in Acts Chapter 1. I am sure you are familiar with this being equated to serving in your context, the starting point for a missional lifestyle. As we explore 4 ways to serve your community, let us not forget that this is a starting point. 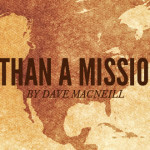 Local mission is a starting point for us, but not the ending as detailed in Acts 1:8. For many student ministries the focus is often the poorest community or homeless population of their city. This is certainly not wrong, but sometimes we overlook other effective ways to serve. That being said…here are 4 ways to serve your community. 1- Serve those in your church. I suggest looking within the church and search for needs being overlooked. In the church, many times needs go unmentioned because telling someone you have a need seems selfish. Start looking, searching and discovering needs for the older generation, widow, the single mom or those benevolent requests. Do they need lawn care? Do they need home repair? Do they need childcare? Do they need encouragement? Do they need meals? Do they need rides to the mall for shopping? Do they just need a visit and someone to talk to? You may be surprised how many needs you find when you start asking within your own church walls. 2- Serve your neighbors. One year we did a Christmas outreach event and part of the inviting process was going to our neighbors of the church and giving them a poinsettia with an invitation to the Christmas service. While passing out the gift, our students started to have many conversations with residents who lived within a half mile of our church. In those conversations they found out there were many needs. I spoke with an elderly woman who had just lost her husband and wanted prayer. Another student found a person who needed help putting the new trimmer wire on his trimmer. Those are two examples of easy-to-meet needs discovered by just walking our neighborhood. I wonder what needs are within a half mile of your church? 3- Serve with a church in a different context. As you move out to meet needs further from your church property, make sure you partner with a church in that context. 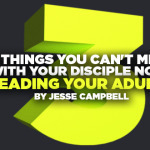 Partnering with a church different than your demographic would be an even better idea. By partnering I mean pray, worship, and serve with this church. You may discover some needs they have, but most importantly you can make that church a hero in their own community. That church is a light in that community and doing the day-to-day ministry. The follow up of spiritual needs are met when your service is partnered with that neighborhood church. Serve openhanded, not looking for recognition. You might even wear that churches logo when serving, not your own. Most likely those you serve across town will not travel across the city to attend your church. This is a great opportunity to teach your students about the big “C” church. 4- Serve and speak the Gospel. Service projects are great. However, let us not think that doing a service project is missions. It is necessary to link our service to the Gospel. We serve as a conduit of God’s love. The most loving task we can do is to offer a relationship with a loving God. Look for every opportunity to use community service projects to speak, and I do not mean through just your actions; verbally speak the Gospel. 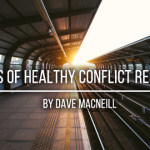 Train your students to enter into spiritual conversations. There are many community service groups that do good things. If you are looking to do great things, speak the Gospel and see what GREAT things God will do.